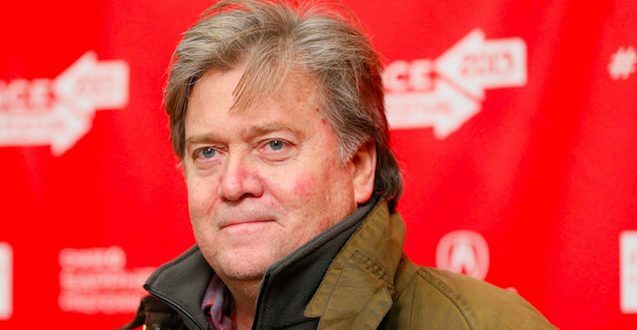 REPORT: Steve Bannon Is Very Likely Getting The Ax - Joe.My.God. A decision is imminent from White House chief of staff John Kelly on whether Steve Bannon will keep his job, according to administration officials with knowledge of the situation. Bannon, who has run afoul of Trump in the past, is now suspected by the president of leaking about his West Wing colleagues. And Trump resents the publicity Bannon has been getting as mastermind of the campaign. Many West Wing officials are now asking “when,” not “if,” Bannon goes. Chief of Staff General John Kelly has been reviewing Bannon’s position. A recent deluge of media coverage of Bannon — including Bannon’s explosive conversation with the American Prospect — have not escaped either the president’s or Kelly’s attention.